For time-poor couples, do it yourself wedding decor probably sounds like a super scary prospect. Still (just hear me out on this) taking on as many of the DIY-able components as possible is a great option for personalising your shindig without chancing that a vendor will miss the mark or fail to deliver. It's also a strategy that's sure to save a heap of money, which is reason enough to start googling 'decoupage' now. Particularly if you're one half of a laid back creative couple with love for the modern/rustic aesthetic, it's easy enough to make your wedding centrepieces in just a couple of hours. So call over your craftiest friends, put a bottle in the fridge to chill, and get stuck in to either of our two simple and chic centrepiece ideas. 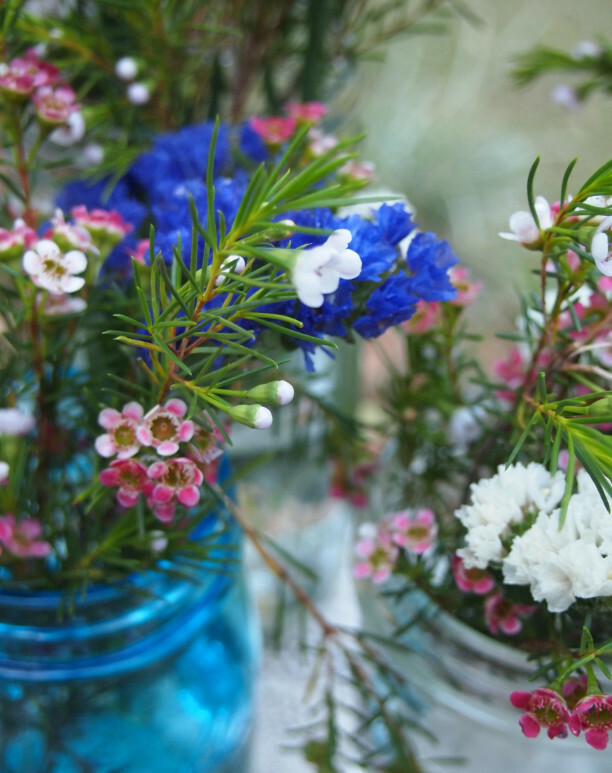 Sprigs of tiny flowers grouped in mason jars are about as simple as a centrepiece arrangement can get, but the effect is very pretty. They're also practical, because woody stemmed blooms aren't prone to wilting, which means you can fill your jars days in advance and just freshen the water before the reception. 1. Buy the flowers. I love to get my locally field grown blooms from Crystal Creek. 2. 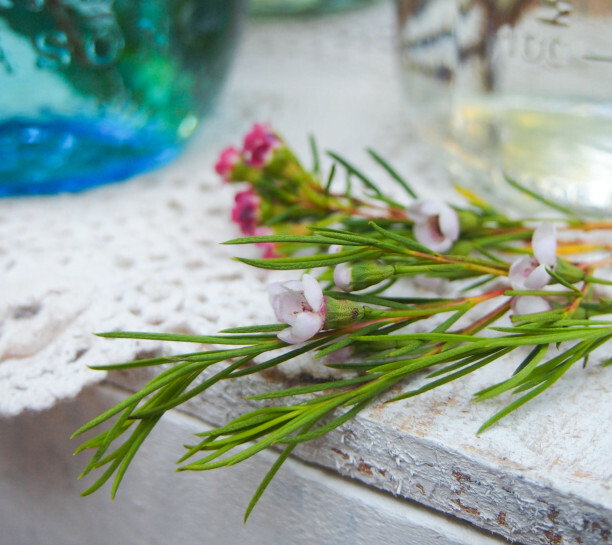 Trim the stems to size and place them in a selection of mason jars. Heritage blue mason jars look especially beautiful, and if you're up for even more DIY you can try tinting your own. 3. 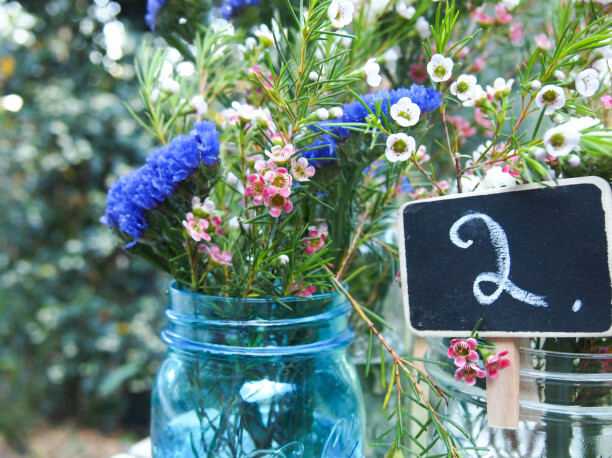 Group the jars in odd numbers in the centre of your table and clip on a chalkboard table number to let guests know where to find their place. A lace trimmed terra cotta pot planted with aromatic herbs like lavender, thyme, and rosemary looks romantic on a wedding supper table and will scent your venue beautifully. The process of sticking fabric to a planter is called decoupage, and to do it you'll need a terra cotta pot, a length of lace or any trim you like, matte Mod Podge (it MUST be the matte kind, and you can get it from Spotlight), a paint brush, and a few q-tips for cleanup at the end. 1. 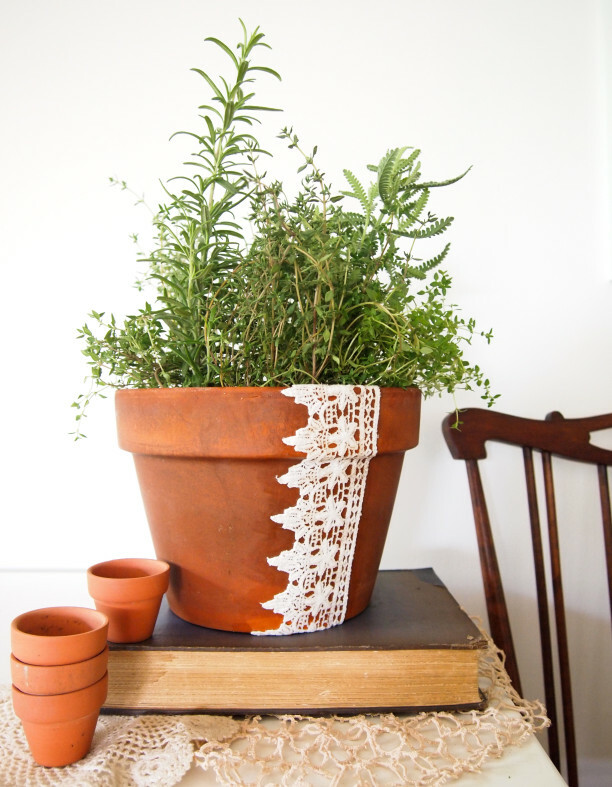 Choose your lace and fit it around the flower pot however you like… I went for one vertical strip. Cut it to size. 2. 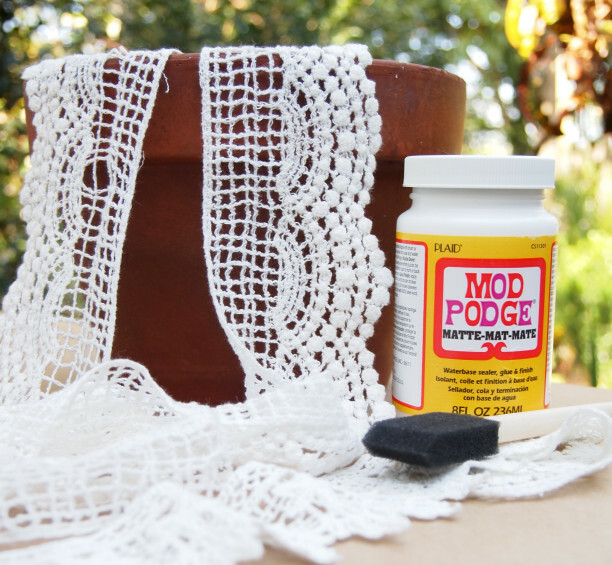 Paint a thin coat of Mod Podge on the planter just where you want to stick on the lace, then stick on the lace. 3. Leave to dry for 20 minutes. When you come back to the planter you'll see the white Mod Podge has turned clear. 4. Paint over the lace trim with another thin coat of the Mod Podge. 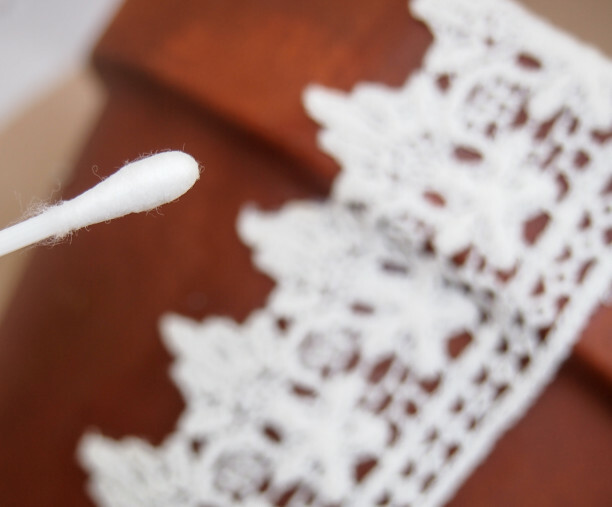 Clean up any excess daubs with a damp q-tip. 5. Wait an hour for the Mod Podge to dry completely, then plant your selection of herbs, fill in with extra potting soil if needed, and give you arrangement a good drink.